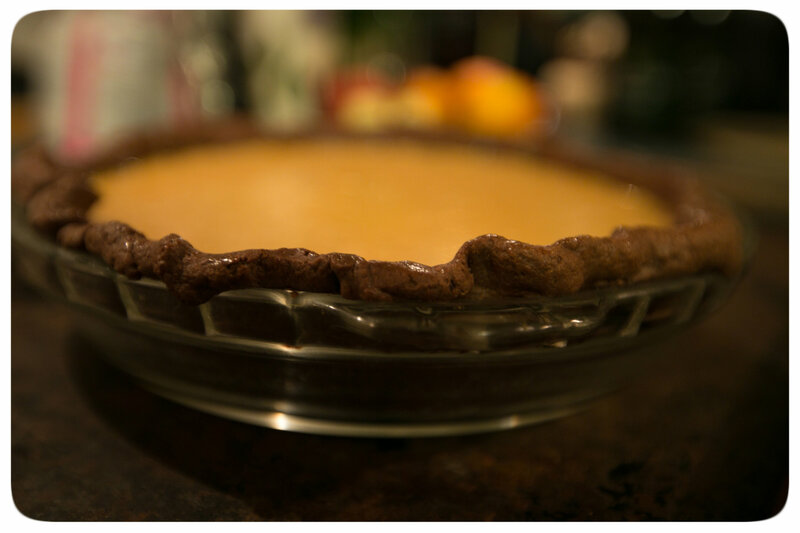 Yesterday’s Thanksgiving feast wouldn’t be complete without your traditional pumpkin pie. 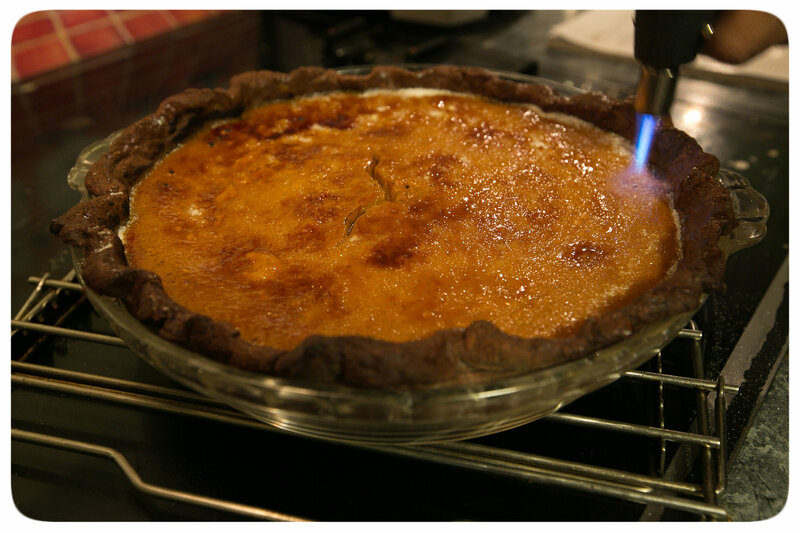 For those of you who know me, know that I love making dishes that take it to the next level and this Brûléed Bourbon-Maple Pumpkin Pie does exactly that. When my Pops and I were researching recipes to make for Thanksgiving, we came across this dressed up pie recipe from Bon Appétit and decided YES! this is the pie we’re going to make. Pulse cocoa powder, granulated sugar, salt, and 1¼ cups plus 1 tablespoon flour in a food processor to combine. Add butter and shortening and pulse until mixture resembles coarse meal. Transfer to a large bowl. Roll out disk of dough on a lightly floured surface into a 14” round. Transfer to a 9” pie dish. Lift up edge and allow dough to slump down into dish. Trim, leaving about 1” overhang. Fold overhang under and crimp edge. Chill in freezer 15 minutes. Whisk pumpkin purée, sour cream, bourbon, cinnamon, salt, ginger, nutmeg, allspice, mace and remaining 3 eggs in a large bowl; set aside. Pour maple syrup in a small saucepan; scrape in seeds from vanilla bean and bring syrup to a boil. Reduce heat to medium-high and simmer, stirring occasionally, until mixture is thickened about 3 minutes. 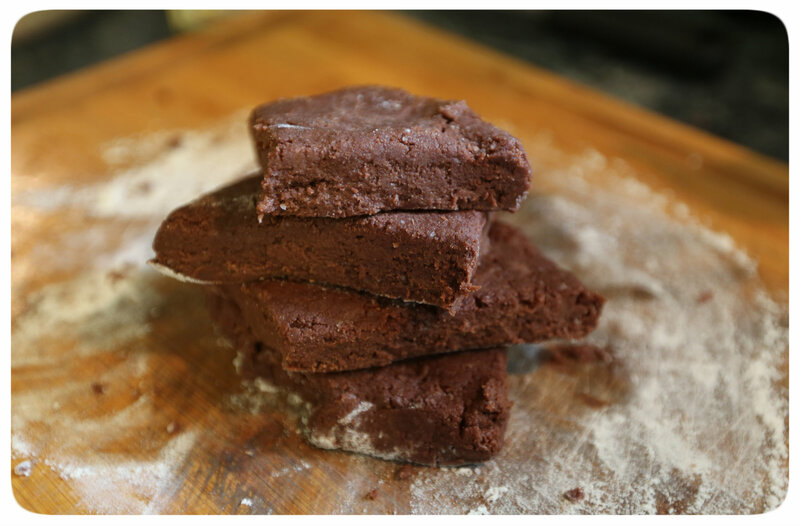 Remove from heat and add cream in 3 additions, stirring with a wooden spoon after each addition until smooth. 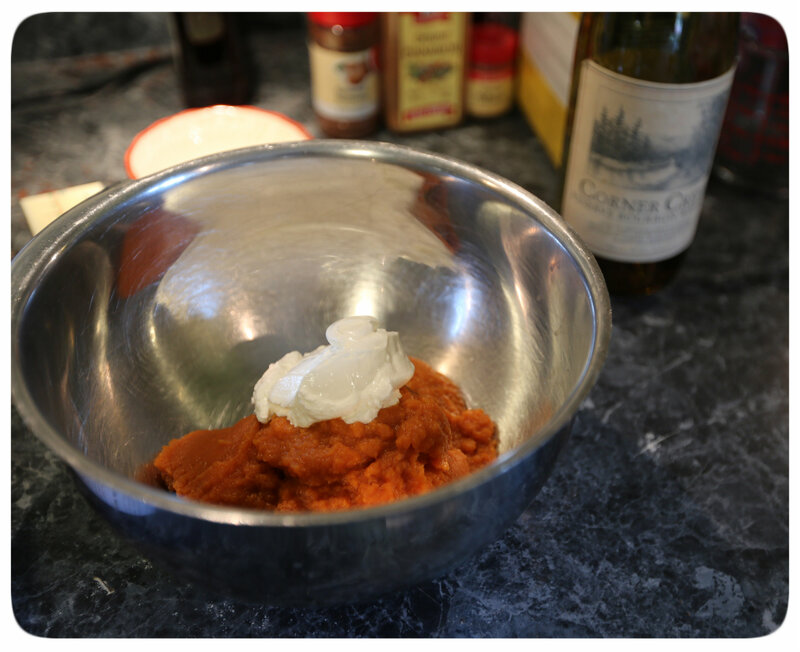 Gradually whisk hot maple cream into pumpkin mixture. Place pie dish on a rimmed baking sheet and pour in filling. 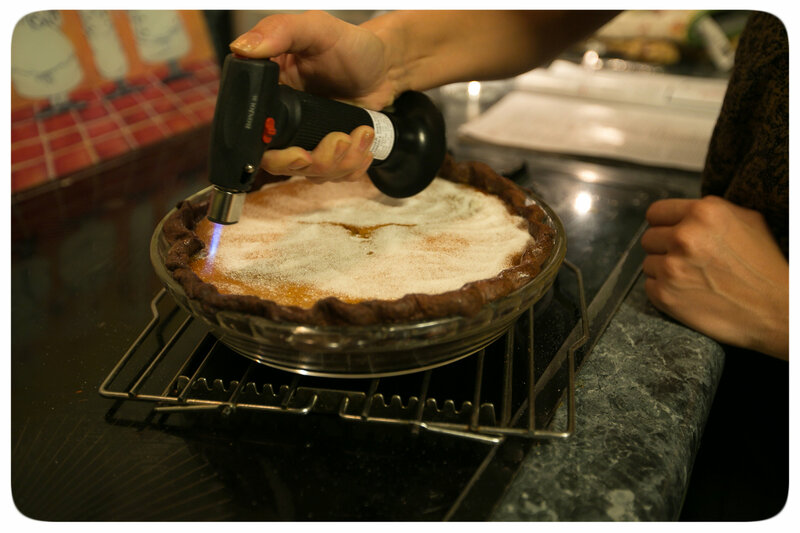 Bake pie, rotating halfway through, until set around edge but center barely jiggles, 60 – 70 minutes. Transfer pie dish to a wire rack and let pie cool. Oh my, this looks sinful. I have to make one! This looks so good, but I’d be afraid to use the torch LOL. I am a bit of a klutz, I could see an unintentional fire ala I Love Lucy! That pie looks absolutely amazing. I can’t wait to try it! Wow, that looks so delicious and fancy! I’m wanting this. Now. Can I just find a printer that would print it out in edible format so I don’t actually have to bake it? Or can I just come visit for Thanksgiving?